The colors and typography you choose can make or break your marketing initiatives. According to MDG’s new infographic, between 62 percent and 90 percent of a person’s initial assessment of a product is based on color alone. 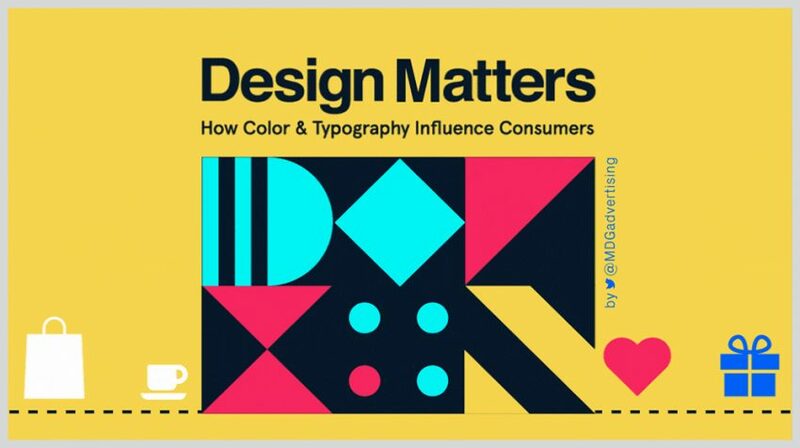 An infographic by British Design Experts, claims the right color can improve readership by 40% as it makes massages easier to read and more visually appealing. Michelangelo once said, “A man paints with his brains and not with his hands.” And while many marketers would like to channel their inner Michelangelo and be as creative as possible, the reality is that color highly determines how perspective customers receive the message. Color is one of the first things our brains perceive from a brand, so it’s often the first thing that pulls us in. Color is a huge factor of brand recognition. Customers express a clear preference for products and brands that are in line with their intended missions. For instance, green is generally associated with eco-friendly in the U.S. According to MDG Advertising, one of the big mistakes that most marketers make is not considering the effect of typography on their marketing efforts. “It’s a big mistake, since good — or bad — typography can have a major impact,” says the MDG team. An MIT study (PDF) shows that good typography makes readers more engaged as people find text easier to read and feel more in control while reading. Did you know it also puts the readers in a good mood? But what does typography really entail? Well, it may entail text with good spacing between words, characters, and lines. Good text should also be written in a large enough font size on less busy or textured backgrounds. Finally, there’s no singular color or font that every brand should be avoiding or using. However, proper research on your audience and finding the best color and typography to fit them will go a long way in giving your business a unified look and convey the message that you intended to pass along. To learn more, check out MDG’s full infographic below.